Thanksgiving is this week and we are right around the corner from the holiday season. It’s easy to get caught up in the hustle and bustle of the holidays—it’s one of the busiest points in the year and the time flies by. But it’s important to not get swept away by the holiday madness. It’s good to slow down, take a step back, and reflect on everything we are thankful for. 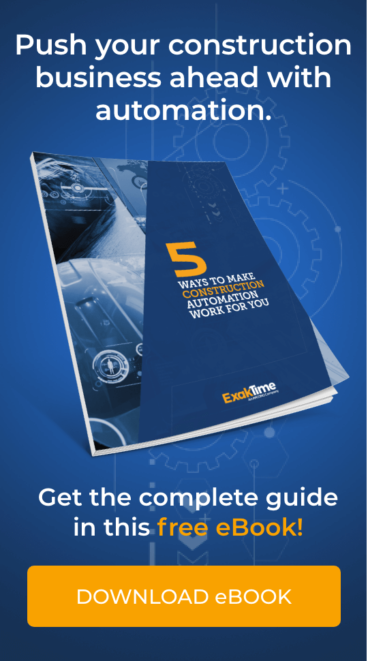 We don’t mean to brag, but we have an amazing team behind the wheels at ExakTime! From the leadership team to the customer support staff and everybody in between, they keep ExakTime growing and continuing to be a leading provider of time clock apps and other mobile workforce management tools. We truly are thankful for their dedication to our company and their commitment to helping our customers. Our business wouldn’t be where it is today if it wasn’t for all of the wonderful customers we’ve had the pleasure of helping over the past 15 years. It gives us a boost knowing that we are able to transform businesses and help them save time and money. When we sit back and reflect, it’s pretty amazing to think about the hundreds, even thousands of success stories we’ve heard over the years. Thank you for giving us a chance to earn your business, we hope we exceeded your expectations in every way. We’re looking forward to some rest and relaxation with our friends and families and we hope you can all do the same. Whether you are driving down the road or flying across the country, we hope you have safe travels. Go ahead, indulge in an extra plate of your favorite Thanksgiving fixings and enjoy the company of your family and friends. We at ExakTime would like to wish everybody a Happy Thanksgiving!